Surprise all the bacon lovers in your house and serve them this vegetable side dish. Bacon fried green beans easy to make and you'll only need three ingredients. For those picky vegetable eaters this is the perfect dish as long as they like bacon. There are not too many people I've met that don't like bacon though so I'm sure this will be a hit. In a large frying pan or wok cook the bacon then drain. Add the green beans, toss, and stir fry until the beans are cooked to the way you like them. To make this dish you may like this Cuisinart Wok. It is very easy to clean and will last you many years to come. I use mine once or twice a week and it is one of my favorite kitchen tools. I love fresh green beans and I've panted mine already for the year...I'll have to try cooking them like this! You've really started your planting early this year. Green beans are great to grow. I'll have to maybe plant some myself this year. We are not big on green beans in my household, but this way of preparing them just might do the trick! 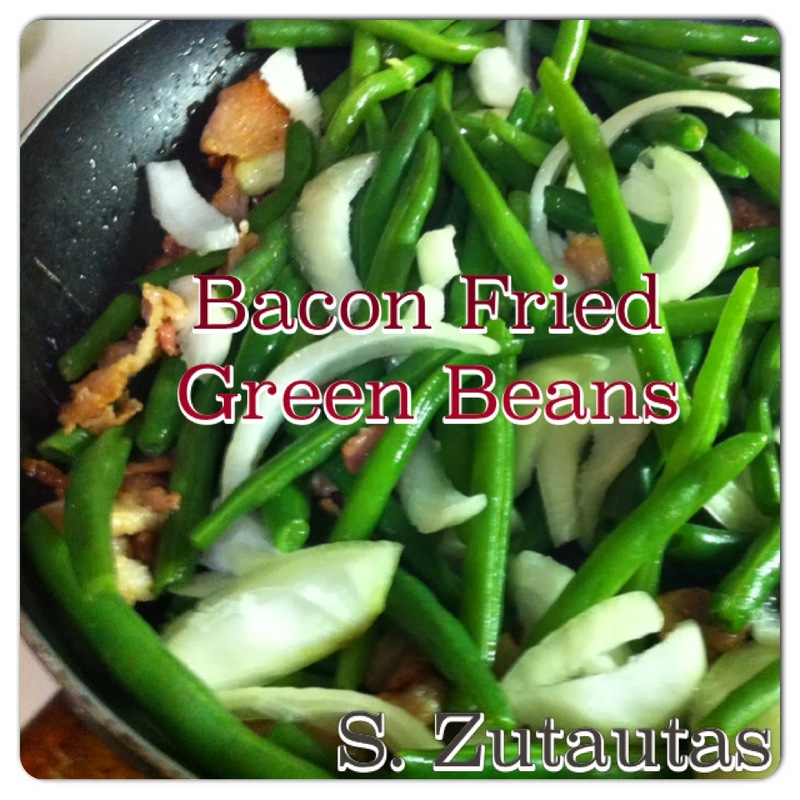 My grandmother used to make fried bacon green beans! I haven't had them in so long! Congratulations on your new blog; it's beautiful and I look forward to the food! I usually steam mine and then toss them with butter. Thought I'd try something a little different and make them with the bacon. The only problem is I think the family is going to want them this way all the time now.